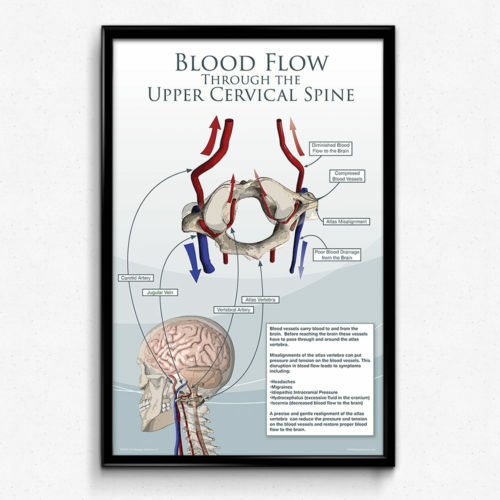 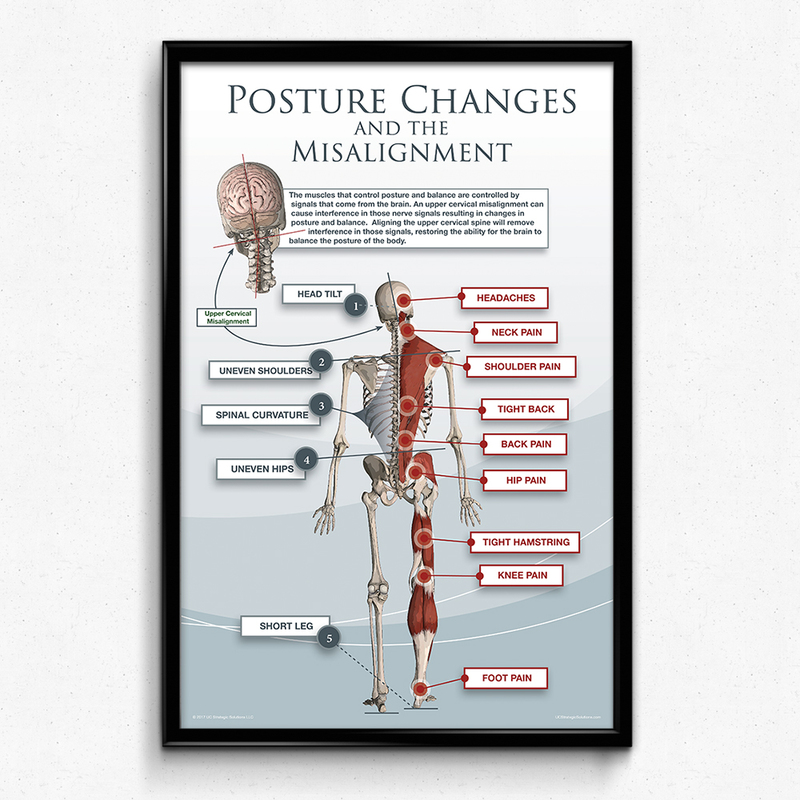 A reference poster for the Upper Cervical practice showing posture changes due to an upper cervical misalignment. 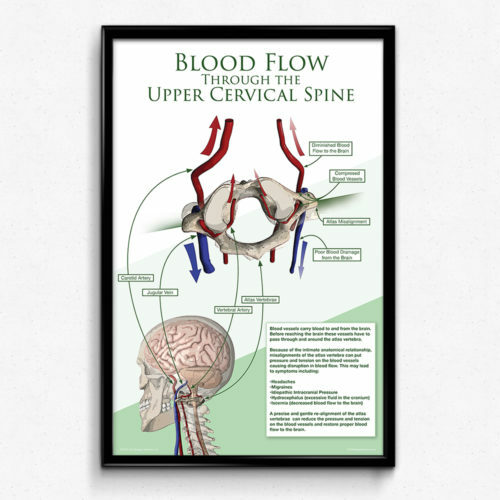 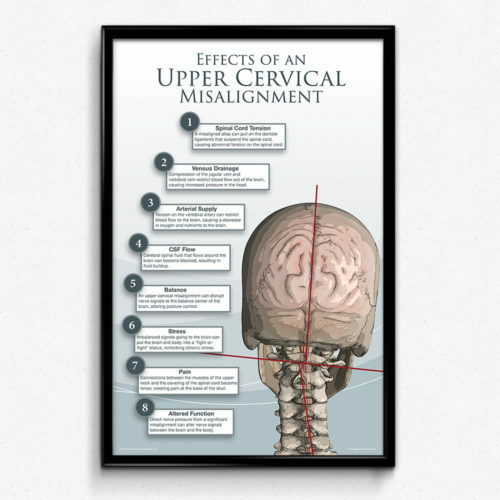 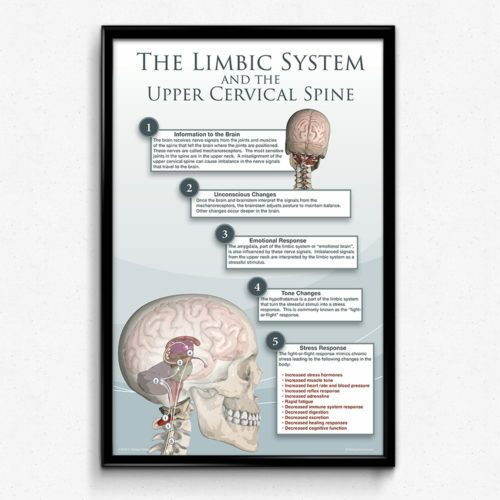 A patient-oriented reference poster for the Upper Cervical practice showing posture changes due to an upper cervical misalignment. The large illustration shows muscles affected by the upper cervical misalignment. 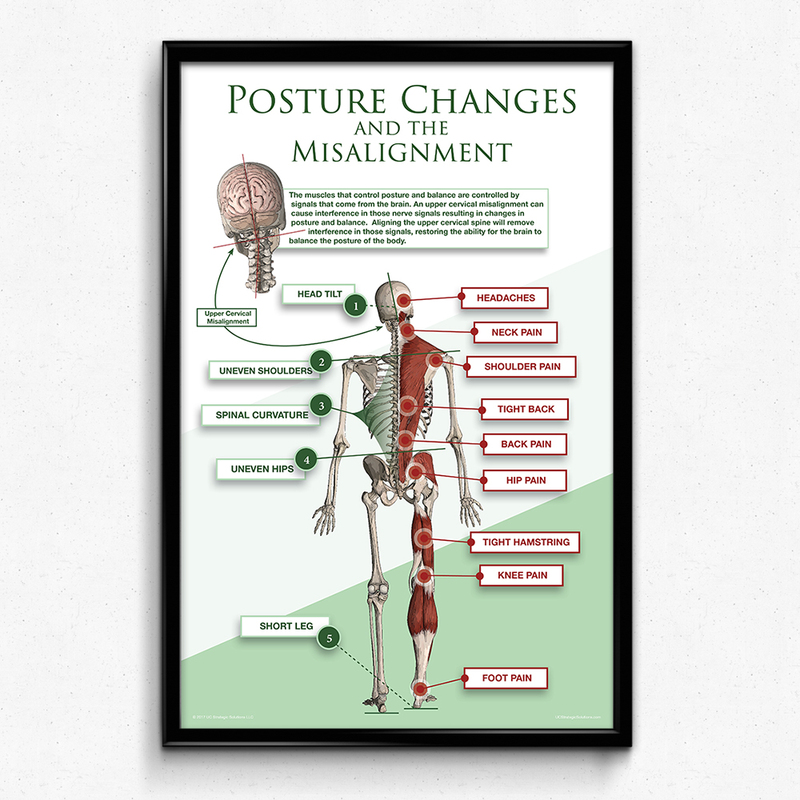 There are labels for common posture distortions and areas of pain. 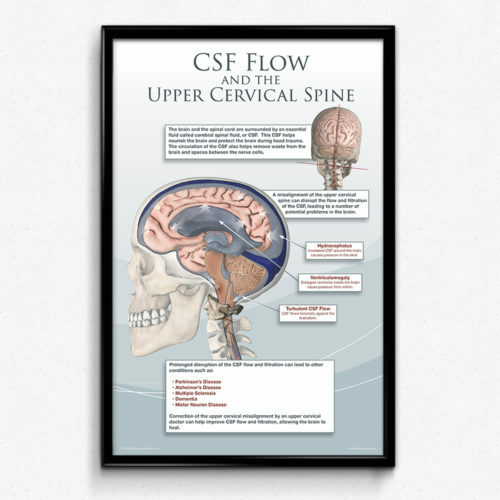 The small illustration on the top shows an upper cervical misalignment with the brain and spinal cord visible through a faded area.